Too much choice is a very bad thing. How can you really get to know your tools intimately if you keep changing your tools? I’ve seen so many of my photography students struggle to locate camera settings or make the correct adjustments to their lens simply because of unfamiliarity with the gear they’ve owned for years. 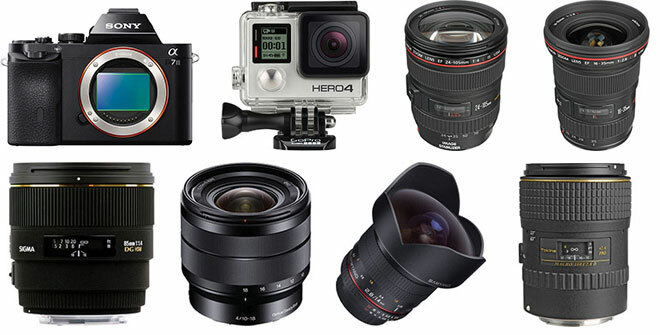 Are you Suffering from Gear Overload? I’ve taught students that were packing 5 cameras with a plethora of lenses and yet they were still struggling with the basics of photography such as correct focusing and shooting landscapes with a straight horizon. Their massive collection of gear was actually hindering their development as photographers. Think of your camera as a musical instrument. The more you practice, the better you get. Photography is exactly the same. The more hours you put in the better you’ll get, but master the gear you have before stocking up on other new toys. Rather than buying two cameras and a selection of premium lenses, why not stick with one camera and one good lens until you genuinely feel like you know this gear inside out? 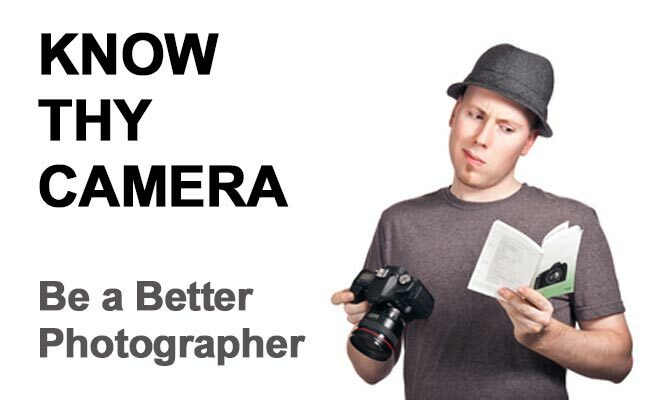 You’ll save money and gain confidence in your ability to master your camera. This will translate into better photos. Read your camera manual while you’re sat on the throne and you’ll discover many wonderful things that your camera can do. You’ve paid for that technology, might as well learn what it does and how to use it. Going on a flight? Don’t read that crappy in-flight magazine that sells duty free. Read your camera manual. Standing around at a shoot waiting for golden hour? Read your camera manual. You can even download it and read it on your phone. This is something I always do with my one-on-one students. I call it the ‘Rubik’s cube test’. We’ll shoot for a while, gradually dialing in the perfect settings on the camera until my student becomes familiar with the controls and what each one does. I’ll then grab the camera and deliberately mess up all of the settings to be utterly useless and then hand it back to my student and ask them to put everything back the way it should be. By the end of the session I can guarantee that my student knows their camera a lot more intimately. Which looks cooler? A guitarist whose shredding out a solo while throwing shapes and high kicks at the crowd or a guitarist whose eyes are glued to the fretboard with mouth agape, catching flies and possibly even drooling a little? I know which one I’d rather be in a band with. Yours truly keeping an eye purely on my EVF. I want you to be able to change camera settings without even looking at the camera controls. If you have a thumb and a finger the only things you need to be able to see are either the viewfinder or the LCD screen. This is vitally important because it frees your mind to concentrate purely on composition and timing, and we all know that composition is by far the most important aspect of photography. How can you concentrate on composition if you’re busy looking at your camera trying to find the ISO button? If you’re a ‘P’ mode shooter and simply don’t have the time to be messing with all your dials, give yourself a little exercise to do in your down time when there’s less pressure to get the shot. Switch to Manual ‘M’ mode and try shooting the same way you usually do with ‘P’ mode. You’ll quickly become familiar with all of the controls that P mode is usually handling for you. This will come in really handy when you need to shoot landscapes, night scenes, macros and other types of manual photography. One of the things I love about digital cameras is their ability to save commonly used settings as presets that you can recall with the turn of a dial. 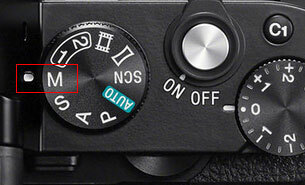 Many cameras have a C1 and C2 setting on the mode dial so that you can call up your most commonly used Manual (M) settings and then start tweaking from there for each shoot. This saves you a lot of time dialing in your settings. You can use this as an exercise to force you into becoming more familiar with your controls by deliberately switching to the wrong preset. For example, if you have a preset suited to night photography it’ll be useless for daytime photography so call it up you’ll be forced to tweak every setting until it suites your current conditions. 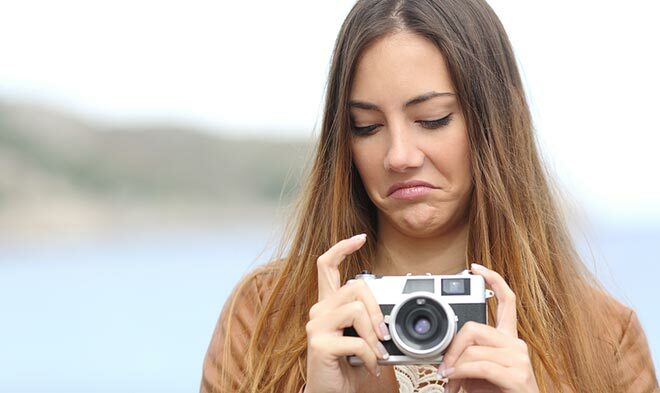 Sounds tedious but this is exactly what I do whenever I start using a new camera that I’m not familiar with. 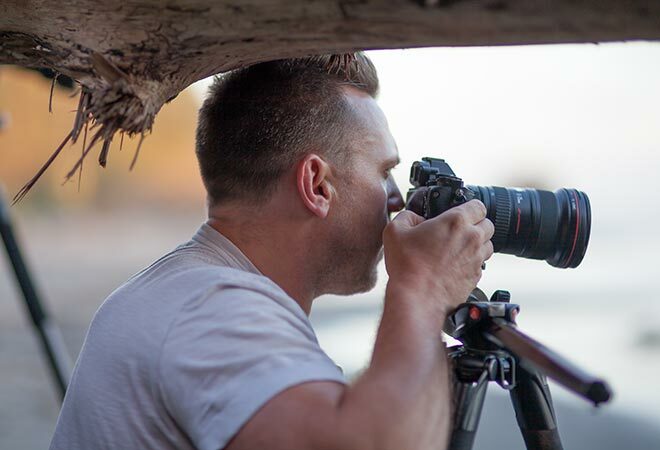 A little bit of discipline pays off big time and these exercises will make you a better photography because you’ll ‘Know They Camera’ intimately. Good solid advise here. Getting to know your camera inside out should be the primary concern for any aspiring photographer, instead of the constant craving for bigger, better, faster, more. I like the Rubik’s test idea, but saying “put everything back where it should be”, isn’t that totally a matter of taste? Where it should be could be any variations that provide a proper exposure, but shutter speed could be way to low because of a very narrow aperture. ..or the other way around. ..or maybe i would like a low key shot. Anyways, I get the idea, and think it is a great way to force people to meddle with their camera settings.